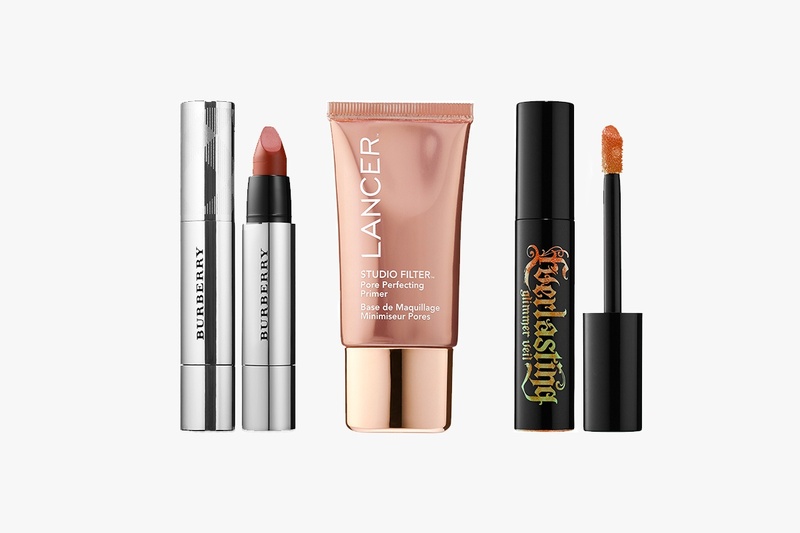 What's New: Kat Von D, Lancer and Burberry | Top Beauty Blog in the Philippines covering Makeup Reviews, Swatches, Skincare and More! A once-only access to Everlasting Glimmer Veil Liquid Lipstick in an ultra-limited new shade—Super Sonic, a limited-edition collection of Full Kisses for bold, long-lasting color and fuller-looking lips and a hydration-infused primer with skin-perfecting benefits that help minimize the look of pores and improve the look of skin texture – all available now! Designed to hug every contour of the lip, the unique flat-top bullet follows every curve as it draws, effortlessly defining, shaping, and enhancing from corner to corner. Mistake-proof and ideal for on-the-go application, the formula coats lips in one vibrant stroke with a rich veil of bold, luminous color, lasting up to eight hours. Discover Burberry Full Kisses in Deep Crimson, a limited-edition shade, and Burberry’s signature color Oxblood, both housed in silver packaging for the festive season. More than just a primer, this skincare-infused treatment with porifin complex and acmella oleracea helps to improve the look of skin texture and minimize the appearance of pores. Its unique hydra-velvet formula helps skin look firmer, filling in lines and wrinkles to create a smooth canvas for makeup application while managing shine. Universal skin tint and optical diffusers subtly blur the look of imperfections and discolorations for a natural, sheer, flattering finish for all ethnicities. Get your hands on never-before-seen Everlasting Glimmer Veil Liquid Lipstick shade, Super Sonic, before it’s gone forever. This pumpkin orange with blue-green glimmer is packed with multidimensional glimmer crystals that sparkle and shade-shift with every movement. Don’t miss your one and only opportunity to score this electrifying exclusive—it will only be available for this month. Great products :) I would like to try them!